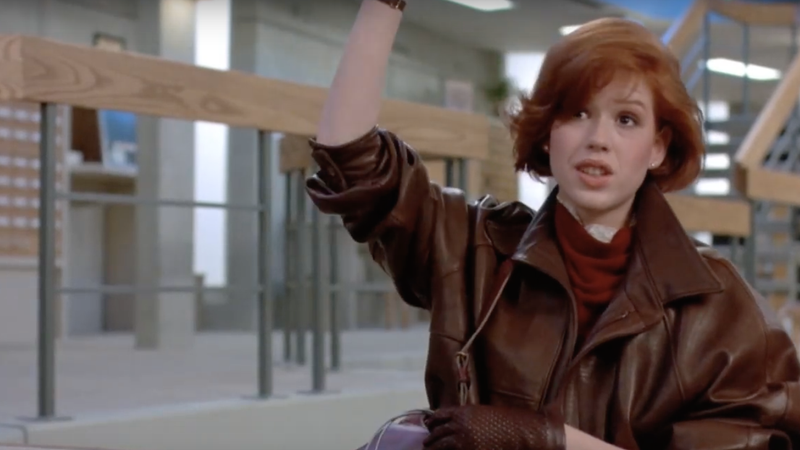 Molly Ringwald wrote a fascinating essay for The New Yorker in which she revisits the old movies she worked on with late director/writer John Hughes. As a teenager, she was long considered his muse, but the two eventually grew to have a strained relationship. When Ringwald moved onto more mature material as an adult, Hughes famously took issue with her choices. “If he thought that I did something that slighted him, if he got jealous, he would go into a rage and not talk to me for a couple days,” she once told Bret Easton Ellis. In her essay for The New Yorker, Ringwald tallies up the ways in which Hughes failed audiences when it came to his sexist and racist screenplays and how she came to that realization admittedly too late in her career. For her essay, Ringwald also reached out to Haviland Morris, who played the snooty popular girl Caroline in Sixteen Candles, to talk about her character’s treatment. Unconscious from drinking too much, Caroline’s popular boyfriend Jake Ryan passes her off to “The Geek” at a party. When they wake up, neither of them can remember what happened that night, but Caroline has a “weird feeling” she enjoyed it. “She had to have a feeling about it, rather than a thought, because thoughts are things we have when we are conscious, and she wasn’t,” Ringwald writes. It’s a complicated take on what was clearly a complicated relationship, but in Ringwald’s writing she seems to not just be speaking for herself but for anyone else who, now grown-up, struggles with the ickier aspects of Hughes’s movies.